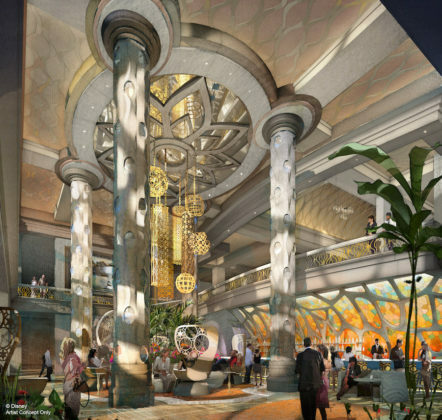 The Disney Parks Blog has shared new details as well as a look at two new renderings of the new 15-story tower currently being added to Disney’s Coronado Springs Resort. 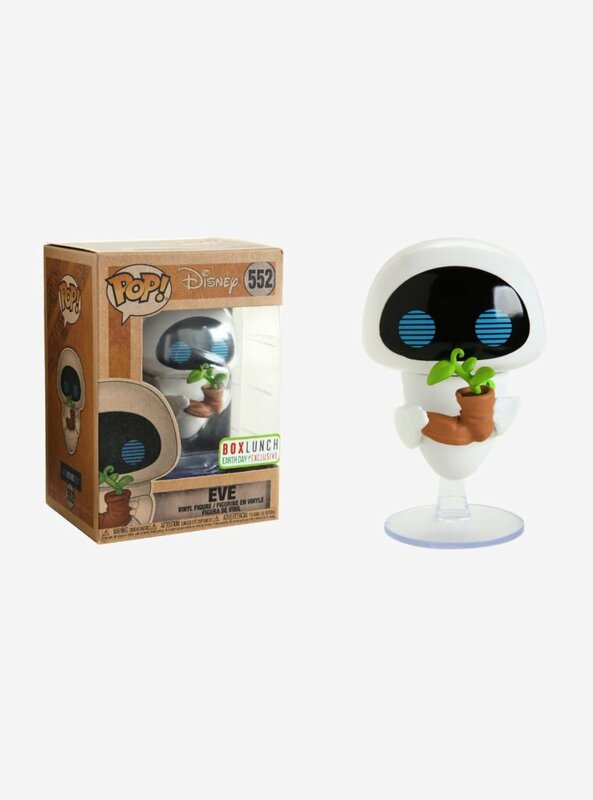 Yesterday, Disney Meetings & Events shared a concept art video highlighting some of the incredible details that will be part of the new tower. 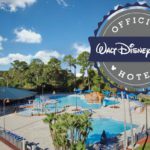 Disney announced the expansion to Coronado Springs Resort early last year. The new 15-story tower will be the centerpiece of the expansion that will also see the addition of 545 guest rooms, including 50 suites, to the resort. 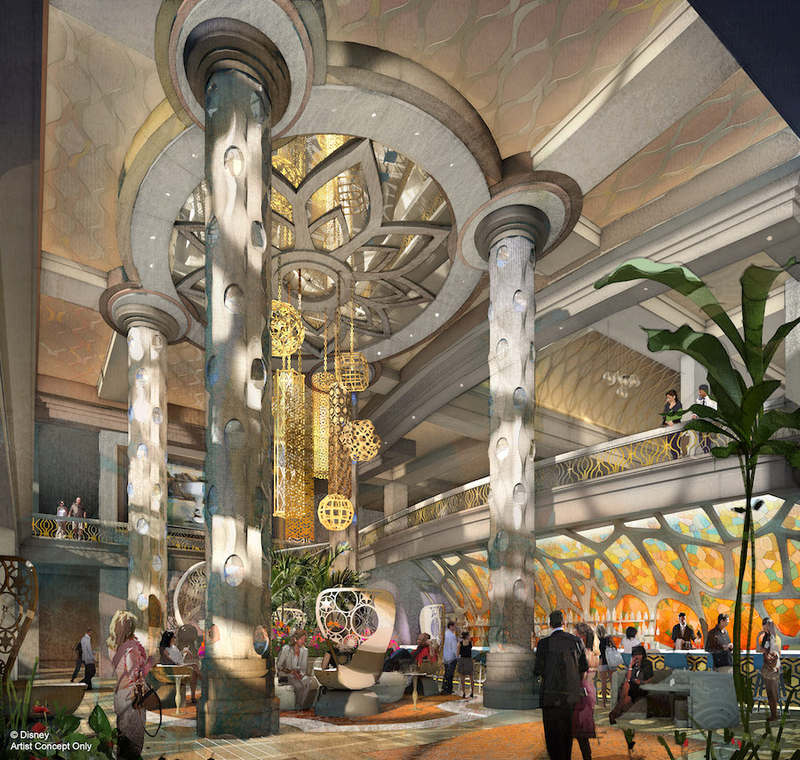 The tower will become the new main entry point for guests visiting the resort and will include a beautiful two-story lobby seen in the second rendering above. 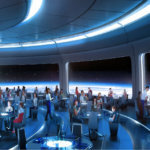 A new themed and unique table-service restaurant will be found atop the new tower, providing incredible views of Walt Disney World Resort. 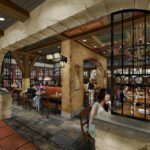 Aside from the new tower, all 1,800-plus rooms at Disney’s Coronado Springs Resort have been refreshed with new fixtures, furnishings and lighting. A second new restaurant will also be added to the middle of the resort’s 14-acre lake, Lago Dorado. 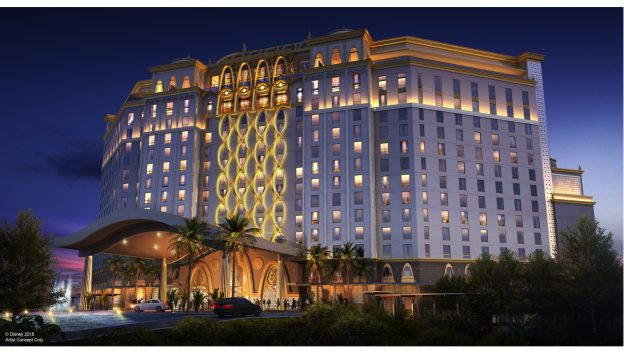 No completion date for the expansion to Disney’s Coronado Springs Resort has been shared at this time. 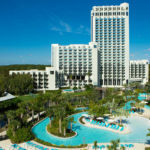 For more information on Disney’s Coronado Springs Resort, check out our guide page on the hotel.